Could you please summarize the health effects of smoking cigarettes? They cause heart attacks, they cause cancer, they cause breast cancer, they wreck your gums, they cause birth defects, they complicate pregnancy — there’s virtually no part of the body that tobacco doesn’t screw up. You’ve referred to a “global tobacco epidemic.” What do you mean by that? The tobacco companies, like other big businesses, have globalized and so they’re very aggressively expanding in poorer countries. And right now, tobacco companies probably kill seven times more people outside the United States than inside. The tobacco companies operate globally, and they’re doing everything they can to spread death and disease around the world because they make money doing it. Does your passion for this issue come from your cardiology background and knowing exactly what smoking does to people? Yes. As a human being and a citizen, I think the reason we have government is to protect people from things like tobacco. 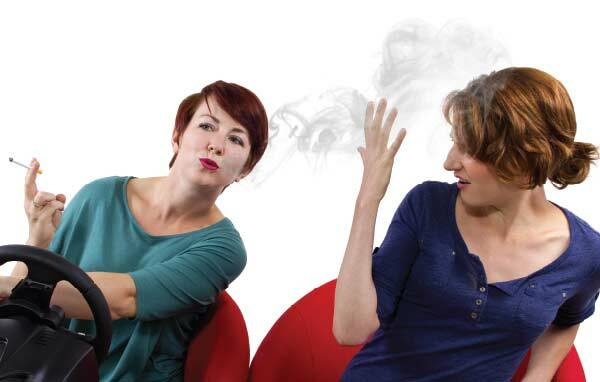 How did you first become involved in tobacco-control research? In 1978 there was an initiative on the California ballot to create non-smoking areas. I volunteered and I’ve been there ever since. We wanted to breathe clean air, or at least less dirty air. We tried in 1978 and again in 1980. Both times the tobacco companies spent millions of dollars and defeated us. Ultimately we were driven to the strategy of working at the community level because we just couldn’t raise enough money to play at the state level. And through a series of local ordinance fights, first around California and then around the country, we built the change from the bottom up. The polling showed that the public was with us from the very beginning, but the problem was most people didn’t realize that. And so it was really a matter of what today is called “social norming,” where we simply made everyone aware of the fact that everyone agreed that you shouldn’t have to breathe cigarette smoke, and, in the process of doing that, changed the whole social dynamic around tobacco. The dominant view back then was that smoking was an individual problem that you dealt with by trying to get individual smokers to change their behavior. It was very much clinically focused — focused on individual patients. And there’s definitely a role for that — doctors and clinicians need to do more of that. But the perspective that we brought in was that it’s more than that: These are fundamentally political problems and problems of public policy and they need to be dealt with in the policy arena. Since that time, the regulatory environment and public awareness has changed considerably. Are we there yet? No, because only half the country is smoke-free now. So there’s still lots to do. I characterize “smoke-free” as living in a place where a law prohibits smoking in most indoor places — indoor workplaces, restaurants, bars, places like that. The University of California San Francisco, where you teach medicine, last year became an official Tobacco Center of Regulatory Science — receiving a $20 million federal grant for tobacco research to inform regulatory policy. What kind of projects will that money be used for? There are 14 centers the NIH & FDA have funded; we’re probably the largest. Ours is directed toward coming up with better models to inform regulation. The FDA uses economic models of smoking where they actually offset the health benefits of quitting by saying you lose pleasure — that if you put in policies that lead people not to smoke, that they’ll be deprived of the pleasure of smoking. And so they offset almost all of the health benefits against this loss of pleasure, which is just crazy. So we’re doing a lot of work looking at decision-making and how people perceive risk to show that that’s ridiculous. Surely the FDA takes into account the health benefits of quitting, don’t they? If you look at their rule-making — the rule they made for warning labels and the rule they proposed to assert jurisdiction over e-cigarettes and cigars — they really grossly understate the health risks of smoking. They don’t even talk about heart disease, for example. And they only look at very, very long-term changes — which in an economic model are much less important than short-term changes because they do what’s called “discounting,” which means that a benefit in the future is worth less than a benefit of today. 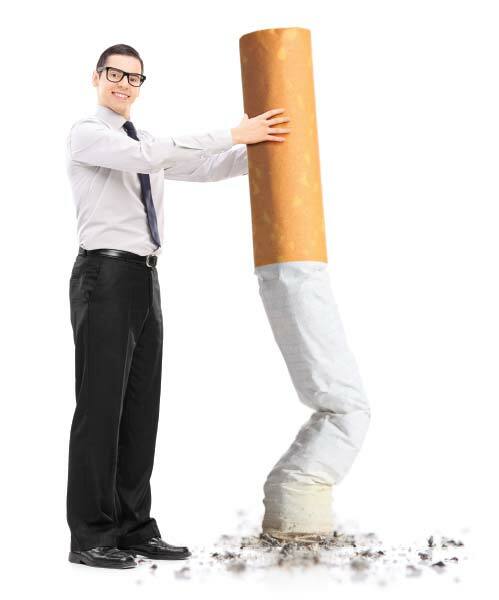 If you quit smoking, the functioning of your heart and your blood and your blood vessels is better the next day, and they completely ignore that. And then they have this crazy idea, which just ignores all of modern behavioral or neuroscience: The FDA says that smokers derive a lot of pleasure from smoking and so if you put warning labels on cigarettes or do other things to the product that will make people quit smoking, yes, they’ll have some health benefits, but those health benefits are almost entirely offset by the reduction in pleasure. It sounds ridiculous. It is ridiculous. But that is how our federal government is making policy. If they didn’t make policy that way, how would it be different? You would have much, much stronger warning labels on cigarettes; you would be eliminating a lot of the additives like menthol that are in cigarettes to make them easier to smoke and more addictive; you would have much more aggressive public education campaigns. I think that the science we are doing will provide the FDA with useful information that would be valuable to reduce the epidemic of tobacco use. Whether the President will have the political will to let them do it is a different question.